Should LDS Church art coincide with the facts? For many years the LDS Church has used staff artists to provide illustrations for its church manuals and magazines. Book of Mormon and Bible stories are commonly depicted, as well as historical church events. 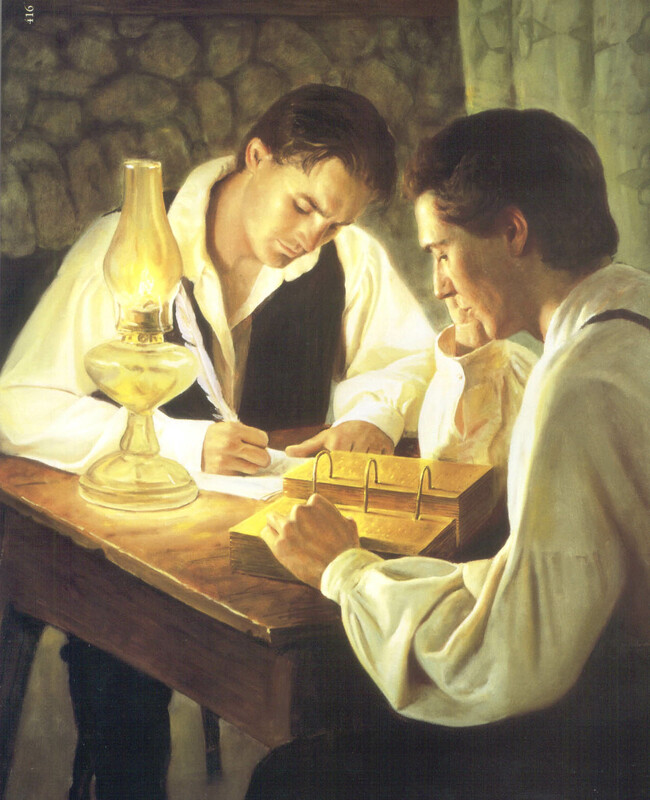 One favorite scene for LDS articles is Joseph Smith’s translation of the Book of Mormon. For example, the front cover of the Feb. 2001 Ensign magazine shows Smith looking at the gold plates and translating them by running his finger over them. Is this really how the Book of Mormon was translated?